Yi Wei appeared most recently on Show 142, recorded in April 2006. Before that, she appeared on Show 109, recorded in November 2004, at age 16. 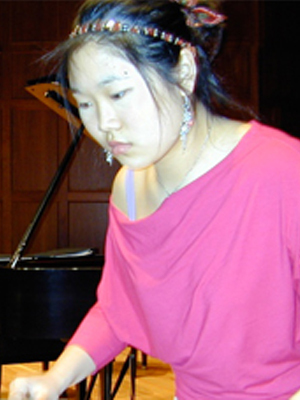 Yi Wei (marimba) is a 17 year-old senior at St. Ignatius College Prep from Chicago, IL. Born into a family of musicians, Yi loves to play all types of music including Latin, jazz, rock and pop. Other commitments that fill her time are journalism, Model UN and volunteering. Yi is a Jack Kent Cooke Young Artist.